Abhinav Vishnu, a research scientist with PNNL’s High Performance Computing group, recently was tapped as a co-editor of a forthcoming special issue of Parallel Computing, sometimes referred to as “ParCo,” that will focus on “Parallel Programming Models and Systems Software.” For the issue, Vishnu will share editing duties with Pavan Balaji, of Argonne National Laboratory, and Yong Chen, from Texas Tech University. The “Parallel Programming Models and Systems Software” issue will explore applications and techniques related to programming, operating, and managing parallel computing systems, including how parallel processes communicate and execute on high-end computing architectures. Submissions for this special issue of Parallel Computing will be accepted by invitation only and limited to papers already presented as part of the Ninth International Workshop on Parallel Programming Models and Systems Software for High-End Computing (P2S2), held in conjunction with the 45th International Conference on Parallel Processing (ICPP 2016). P2S2 will be held on August 16, 2016 in Philadelphia. 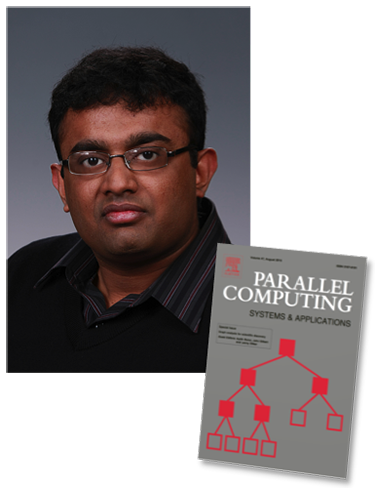 Published by Elsevier, Parallel Computing is an international journal that centers on the practical use of parallel computer systems, including high-performance architecture, system software, programming systems and tools, and applications. For more information, contact Abhinav Vishnu.